Summertime and the livin’ is easy. For many of us it’s vacation season and summer blockbuster season, for the rest of us it means the commute to work is hotter than a dragon’s breath. The sun is shining as the temperature ramps up, and you probably have put away those thick winter coats in exchange for short-sleeves and shorts. Unsurprisingly, this season is no less tough on cars as the winter months are. During extreme temperatures, your car can take quite a beating. 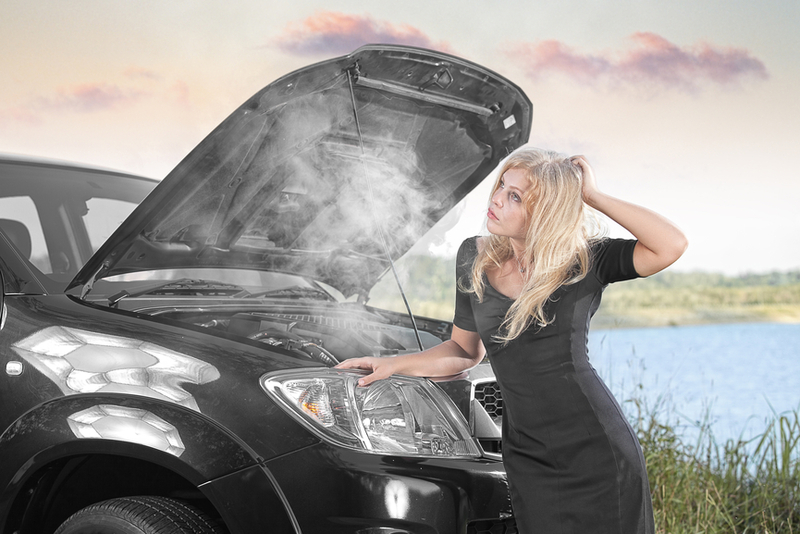 The heat can destroy batteries and stress your car’s cooling system, as well as adversely affect your tires. So be sure to check up on all of these components throughout the summer to help avoid breakdowns and car problems on the road. Do you smell that? It smells like teen spirit. School is out for summer and the roads are in danger of becoming a teenage wasteland. Sure, not ALL young drivers are risky business but generally speaking teens are recorded as the most distracted of drivers. The unavoidable lack of experience (we’ve all been there) can lead to questionable judgment that can increase the risk of an accident. We’ve all seen the news and data that shows that teens are more likely to be involved in accidents than any other age groups, so be sure to engage your defensive driving and stay calm (remember: they’re not evil, they’re just young). Be on the lookout for the “student driver” sticker and proceed with caution. As the heated roads pack more and more drivers, similar to those readers that suffer from seasonal allergies, congestion is a rather common symptom. We all have our favorite summer destinations, and suffering through traffic jams is the price we gladly pay for getting there. 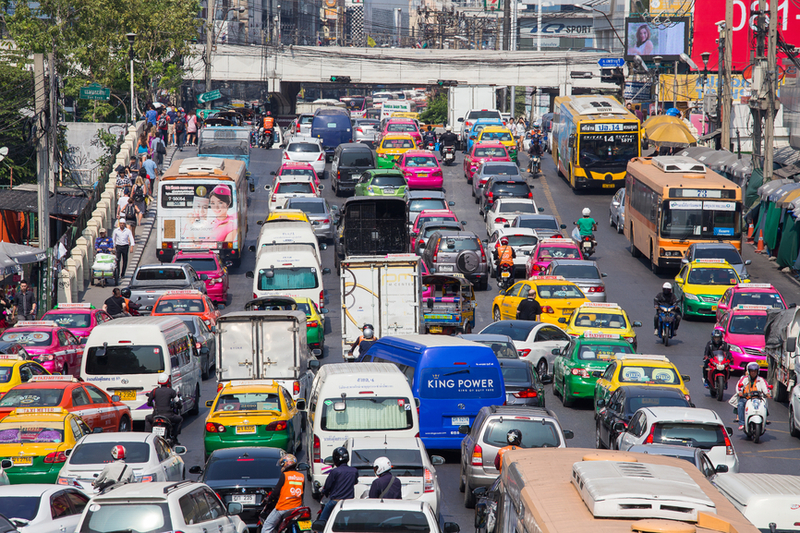 Congested roads make for harder driving conditions and the increased potential for road rage, so plan ahead. Be sure to watch out for those impatient drivers who might cut you off. 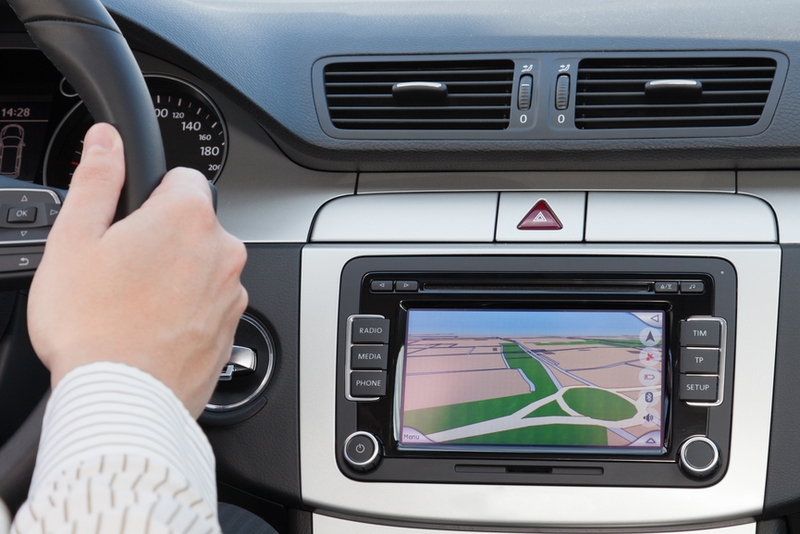 Vacationing drivers are often unfamiliar with the roads as well, which can lead to erratic or unpredictable driving (especially when there’s something cool to look at). And because they’re unfamiliar, they may really hold up the line by driving too slowly. 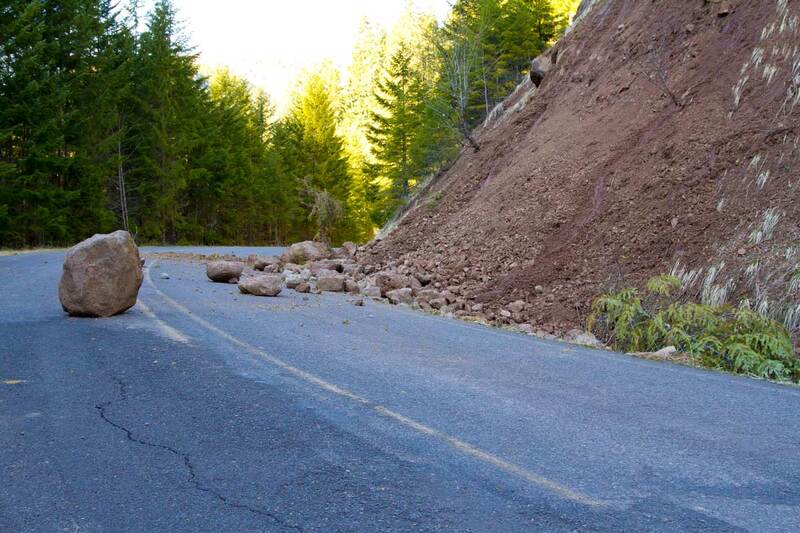 What may be the long commute home to you, could be the “scenic route” to a couple of out-of-towners. Summer can do a number on your tires as high temperatures put added stress on them. To maximize tire life and safety, check the tire condition and inflation pressure monthly, and have the tires rotated every 6,000 miles. Summer heat will cause the pressure within a tire to rise, therefore, it’s important to check the pressure when tires are cold. 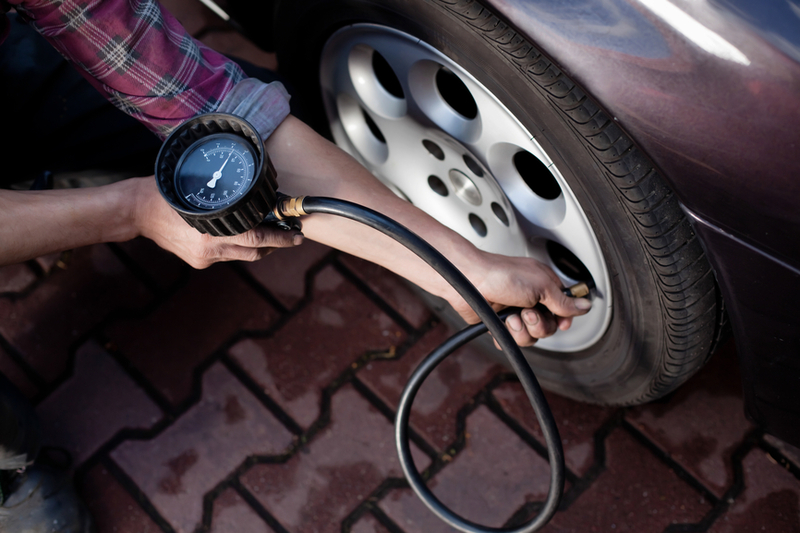 The owner’s manual includes the recommended air pressure for your vehicle’s tires, or you can easily find them online. Summertime is a popular time for road construction. With the weather warming up, construction crews are apt to shutting down roadways to make needed repairs. Always be a little extra cautious when you drive around construction zones. 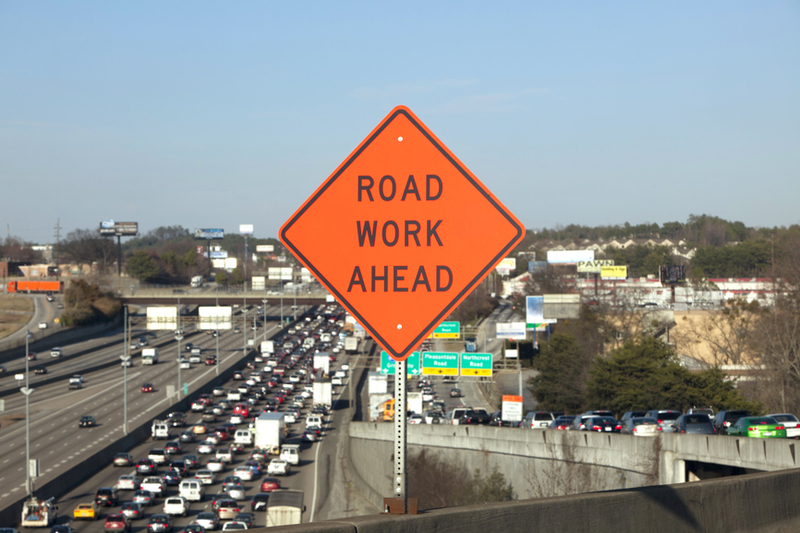 We’ve already created a handy guide for navigating through work zones but it’s always important stay attentive, drive delicately, and be mindful of the space around your vehicle when navigating through these roadwork hazards. On a clear day it’s time to bust out the two-wheelers and feel the wind in your hair and maybe break out the leathers or speed suits. If you don’t have a bike (motored or not), keep in mind the people who do. Many cyclists and bikers take advantage of the warm weather by finally getting their vehicles out of the garage and onto the streets, which makes sharing the road a priority for drivers. 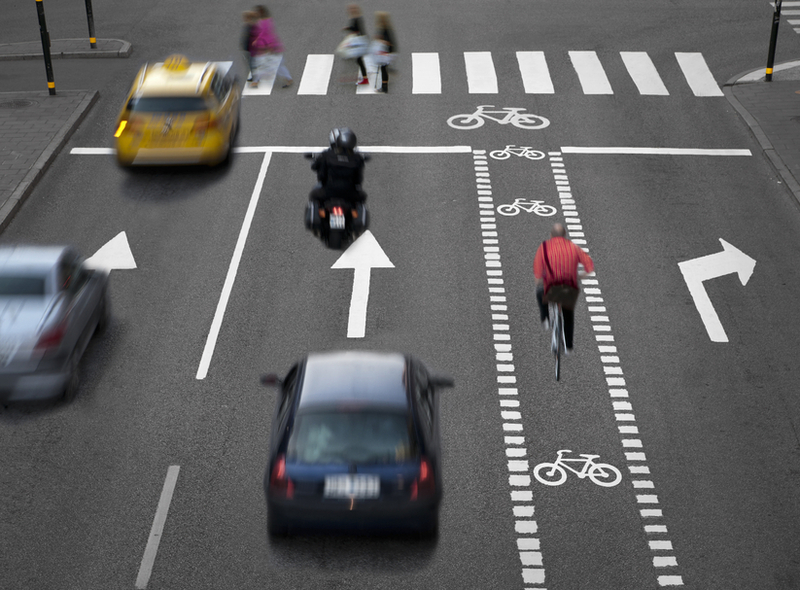 Driving alongside cyclists can make traffic maneuvers, from turning right to parallel parking, more dangerous. It’s best to leave extra space for cyclists for your safety and theirs. The scorching summer sun can dehydrate you on long drives, so keep a bottle of water handy. And of course, the chance of your engine overheating increases, especially if you have to rely on your air conditioner to keep yourself from overheating. If your engine overheats, pull over to let it cool down. Sunlight and heat can also damage the exterior of the car as well. You can protect the outside of your car by having it washed every 1-2 weeks and having it waxed monthly. Another thing that the heat can negatively affect is your car’s battery. Have your electrical system checked to make sure it is charging at the correct rate. If your car’s battery is the type that needs to be topped off, check it often, especially in hot weather and add distilled water if necessary. Keep the top of the battery clean. Dirt can become a conductor, which drains battery power. If corrosion accumulates on battery terminals, it becomes an insulator and inhibits the current flow. Be wary of traffic reports and always consider alternate routes or roads that may be closed off. The key to avoiding stress on the road is to plan ahead. Even if you don’t end up sticking to the original plan, it is well worth planning a route. By taking less than an hour to plan roughly how much you can spend on the road each day and activities that you can stop and do along the way, it will make any summer drive less stressful and more memorable. When traveling with children this small amount of time spent planning can save a whole lot of hassle on the journey. It will give the young ones (or young-at-heart) something to look forward to along the way, and could prevent unnecessary arguments. Consider the mythical “scenic route,” if you are feeling particularly adventurous. During the summer, we all need water to stay active and prevent dehydration. Your car isn’t any different. Without maintaining fluid levels in your car, you may find that it decides to breakdown on you in the middle of nowhere. The cooling system also works harder during hot temperatures to prevent overheating of the engine. To keep the cooling system working effectively, the coolant and distilled water mixture for a vehicle’s radiator should be 50:50. As a reminder, never open a hot radiator cap when checking the coolant level in the reservoir. 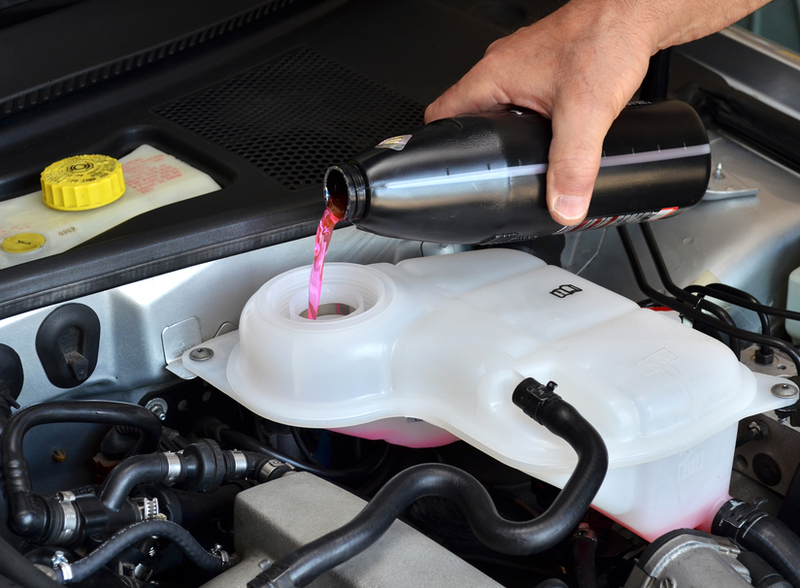 As a rule of thumb, the coolant should be changed annually on most vehicles. This will keep the cooling system fresh and clean inside, which helps prevent corrosion and assures that the coolant has the proper boiling point and protection. A pressure test, thermostat test, a cooling fan test, or just a visual inspection for leaks and corrosion should also be done annually. Hoses and drive belts should be checked for cracks, bulges or frayed edges. The radiator should be kept clean by periodically using a garden hose and a soft brush to carefully remove bugs, dirt and debris. To keep your car in tip-top condition this summer, you should make sure the following fluids are kept topped off, including: engine oil, windshield washer fluid, engine coolant, and of course, fuel. This is an essential tip for any car journey, as no matter how old or new your car is, it could breakdown at any time (check your warranty while you’re at it). 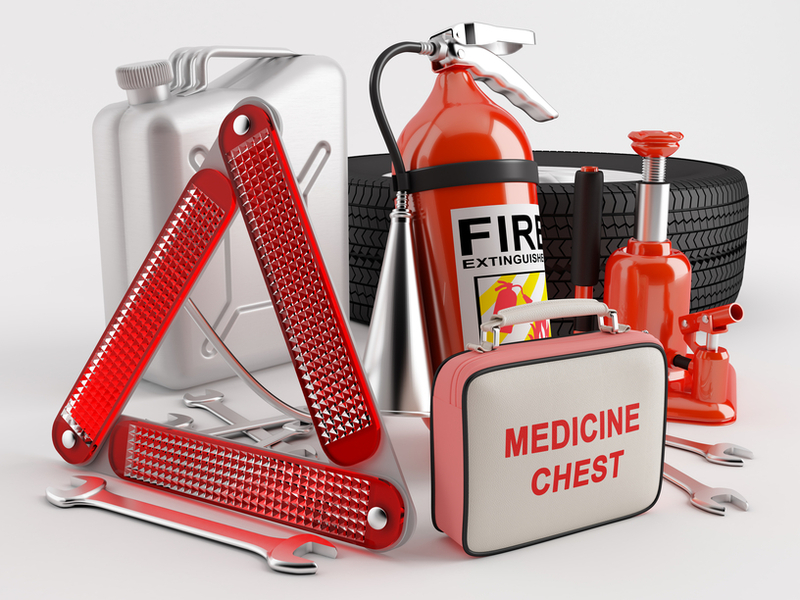 Your emergency kit should consist of a breakdown triangle, a blanket, a flashlight, high visibility jackets, a mobile phone, a map, and most importantly breakdown coverage details. When you pack the car in a rush you have a tendency to miss things, and to forget where everything is in the car. Take a bit of time, and put things in the glove box that you will need on the journey. Make sure you can easily reach things like tissues, snacks, map, pillows, and warm clothes. Everything else should be packed in the order you will need them, in the event you do actually need them. 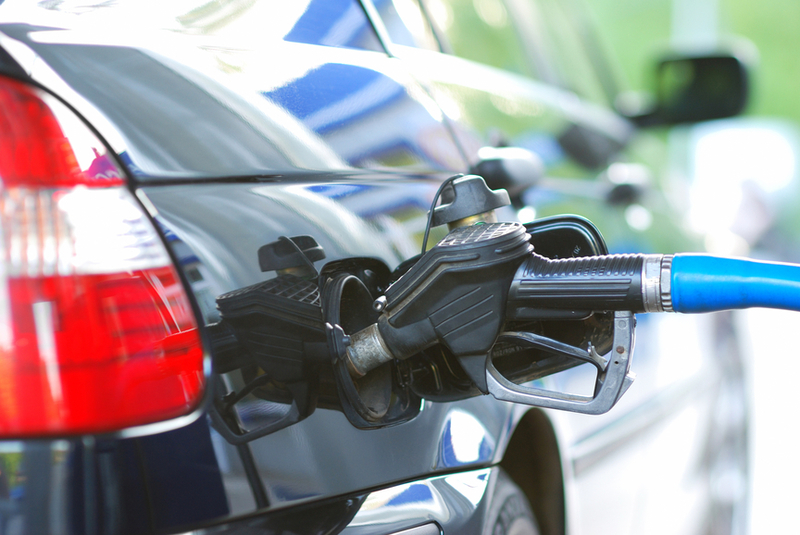 If you plan your fuel stops in advance you can save when refueling on your summer journey this year. Why not take a little time to find out where the cheapest stations are on your holiday route, and spend the savings on some ice cream, roller coasters, or cooling off at the movies. Check out apps like GasBuddy which gives you up-to-the-minute updates of surrounding gas stations to ensure you get the cheapest fuel possible. The summer is the time to kick back and relax, but that is easier said than done when you’re behind the wheel. Whether you’re heading the beach, the latest blockbuster epic, a new ride at the amusement park, that concert you’ve been dying to see, or just craving something cold and sweet in the sun, keeping your cool in the summer heat can save you a lot of money and a lot of headache. Now go lighten up and soak up the sun!